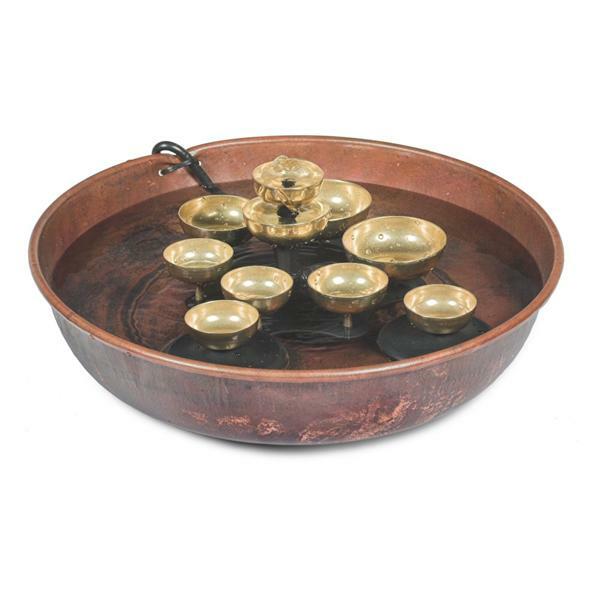 This version of the Water Bell Fountain features a beautiful copper bowl with a flame finish. 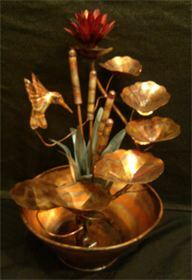 The swirling motion of floating bells provides this fountain’s peaceful chiming sounds. 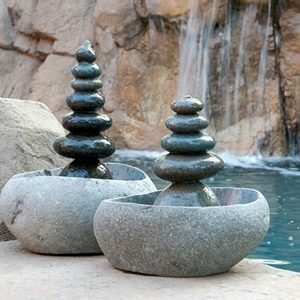 Create an oasis in your garden – the soothing murmur of the water combines with the gentle ringing of the bells to create a tranquil mood.